Mariah Carey has reportedly split from her backing dancer boyfriend Bryan Tanaka. The pop diva went public with her romance with her new beau, who worked as a dancer on The Sweet Sweet Fantasy Tour in 2016, by posing for cosy pictures with him on a beach in Hawaii in November (16). They recently celebrating Mariah's birthday in Mexico at the end of March (17), but they reportedly haven't seen or spoken to each other since that trip and have now parted ways. Sources tell TMZ.com Bryan was jealous over Mariah's friendly relationship with her ex-husband Nick Cannon, the father of her five-year-old twins Moroccan and Monroe. The former couple, who split in 2014 after six years of marriage, regularly hang out together with the children, going to dinner, parties and even on vacation together. Their closeness reportedly made Bryan mad and he would get his revenge by flirting with other women in front of Mariah. 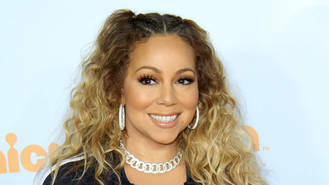 The "last straw" is said to have been the Kids' Choice Awards last month (Mar17), when Mariah, Nick and the twins made a family appearance on the orange carpet, which the 33-year-old reportedly felt "disrespected" by. As for Mariah, she apparently got fed up of footing Bryan's bills and felt he just wanted to get famous from their relationship. The dancer made his feelings about the singer known on her E! reality show Mariah's World, despite her being engaged to Australian billionaire James Packer at the time. In October (16), her representative confirmed Mariah had not seen Packer since they had a fight in Greece in September (16). Mariah declared the relationship was not working and removed her engagement ring during the Mariah's World finale, which aired in January (17). Rapper-turned-actor Ludacris is helping MTV bosses revive hit reality show Fear Factor for a whole new generation of fans. Nelly Furtado and husband Demacio Castellon secretly split last year (16). Mel B has obtained a restraining order against her former nanny. Alanis Morissette's former music manager's has publicly apologised for stealing millions from the singer. Kate Bush's representative has set the record straight over claims the singer was turned down by the Coachella music festival. Mariah Carey has promised to drop a new album in 2017 after committing to a new deal with Epic Records. Mel B's estranged husband Stephen Belafonte has vowed to fight for the children he shares with his former wife. Jay Z has pulled his entire music catalogue from Spotify. Britney Spears will reportedly end her Las Vegas residency in December (17).